Home > Uncategorized > Got Glutes? 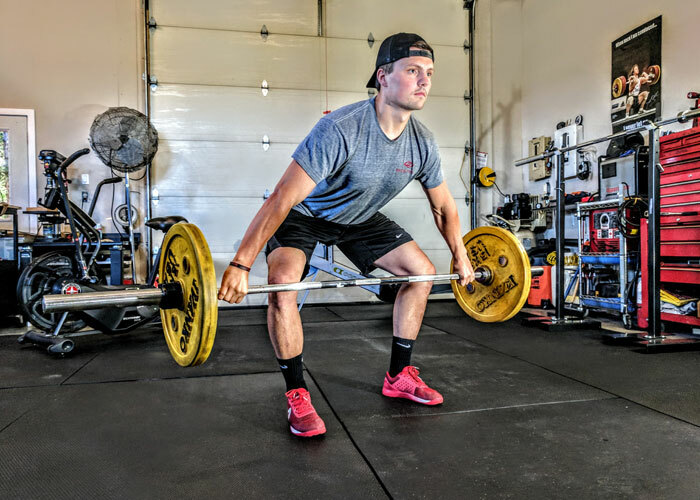 Throughout my years as both a personal trainer/coach, the most common weakness I have come across in the majority of my clients is a lack a hip stability and glute (gluteus maximus) strength. Why is this important you ask? The glutes are the ‘prime movers’ in human gait (walking and running) and this is where our center of body mass lies. If the hips are weak and unstable there is little to no platform in which to produce force or power, meaning the movement will come from somewhere else (another muscle/joint) that isn’t designed to take the load the way the glutes are. There will also be a substantial leak of energy throughout the movement due to the unnecessary ‘slack’ in the hip/joint. This relates to walking, running, kicking, throwing and basically any functional movement we engage in on a daily basis. So how do you know if your glutes are weak? Here are a few questions and test you can do to ‘self assess’ and determine whether it might be an area you address in your current core or rehabilitation program. Can you balance on one leg whilst maintaining good control of your knees and hips? Can you perform a single leg squat whilst maintaining good spinal alignment, balance and control? Do you experience ITB, back pain, calf related issues, plantar fasciitis and shin splints that don’t go away no matter how much you try? Whilst running or performing squats, do you feel the majority of the muscle activity in the hips/glutes or do you feel it more so in the quadriceps (thighs) indicating you are more quad (thigh) dominate? Are you prone to frustrating reoccurring injuries? Well If you answered yes to one or more of these points it might be time to consider an all round specific program/plan that will address these areas of weakness leading you to fulfilling your athletic potential. Even fixing that niggling back injury that you cant seem to get rid of, no matter how many planks or crunches you do! My advice: look at the bigger picture as to why you may have the injury or frequent tightness (hamstrings always tighten up during running) in the first place. Train the body specifically to how it moves in day to day life, and try and keep exercises integrated (working the whole body in one movement e.g. push up, dead lifts etc.) rather than isolated bicep (concentration curls) unless of course you want huge arms that might ‘look’ good but serve little purpose in running, cycling or even kicking a ball further. If you have a further questions or feedback please feel free to message below or private message me.